According to the New York Times, blacks and Latinos were nine times as likely as whites to be stopped by New York City Police Officers in 2009. But once stopped, they were no more likely than any other demographic to be arrested. 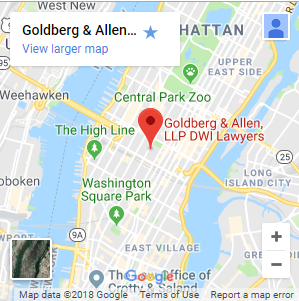 This disparate rate of stop and frisks has not only instigated a lawsuit against the Police Department but ignited public debate over current stop laws in New York City. 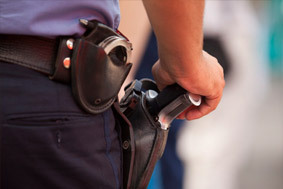 In 2009, the New York Times indicates that New York City police utilized stop and frisk procedures (procedures in which an officer “pats down” a person’s outer clothing to detect potential concealed weapons) on nearly 490,000 blacks and Latinos. In comparison, only 53,000 whites were stopped in that same year. Even more, police used force in 27 percent of the stops involving Latinos and 25 percent of those involving blacks, but only in 19 percent of the stops involving whites. The rate of arrests resulting from a stop and frisk was almost the same in all cases. Blacks were arrested in slightly less than 6 percent of the stops and whites were arrested in slightly more than 6 percent of the stops. The New York Times also indicates that about 1.7 percent of whites who police stopped possessed a weapon, while 1.1 percent of blacks stopped had one. Darius Charney, a lawyer for the Center for Constitutional Rights (a nonprofit civil and human rights organization), suggests that prejudice not crime is to blame for the disparity. When officers stop and frisk an individual they are required to fill out a department form and indicate the reason(s) for the stop. The Center examined various forms and found that “furtive movements,” “fits a relevant description,” and “casing a victim or location” are popular categories selected. But nearly 19 percent of officers failed to indicate a specific reason on the form and simply checked the “other” category. Police officials say that the stop-and-frisk procedure is an essential part of their efforts to combat crime. According to analysis by the Center for Constitutional Rights, the stops led to 34,000 arrests and seizure of more than 6,000 weapons (other than guns) in 2009. The police department also argues that the widespread use of stop and frisks has forced criminals to keep their guns at home. They also assert that stop and frisks helps detectives fight future crimes; reasoning that because an individual’s personal information, including name, address, Social Security number, race, gender, and physical description is collected, detectives can enter suspect information from a victim or witness into the database and get a list of possible matches or suspects. While the database of stop-and-frisk interactions is a valuable tool for the New York City Police Department, critics say it is unconstitutional. Millions of names and addresses of innocent people are collected-mostly minorities-who police have stopped yet cleared of any wrongdoing. Opponents of the database also argue that the information collected after stop-and-frisk encounters leads to future police suspicion and surveillance that can last indefinitely. In July 2010, New York Governor David A. Patterson signed legislation that limits the information that may be retained in the stop-and-frisk database. The law prohibits the electronic retention of an individuals’ personal information when that individuals is stopped, questioned and frisked by police and not charged with a crime or violation as a result of the stop. If you have been arrested or accused of a crime following a stop and frisk, contact acriminal defense lawyer in your area. A knowledgeable attorney can inform you of your rights under the law and help mitigate any potential consequences.